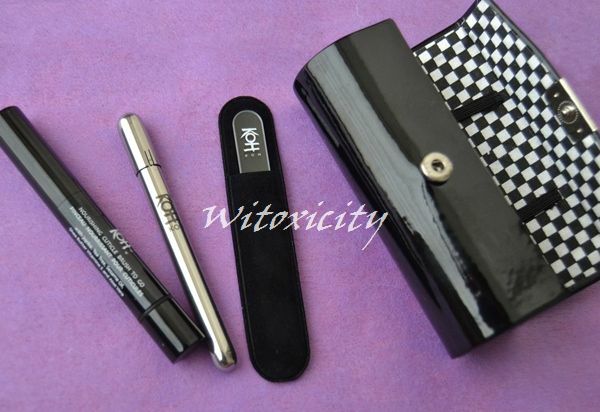 This cute little manicure set has been available at the KOH Experience Shops for the past month or so. 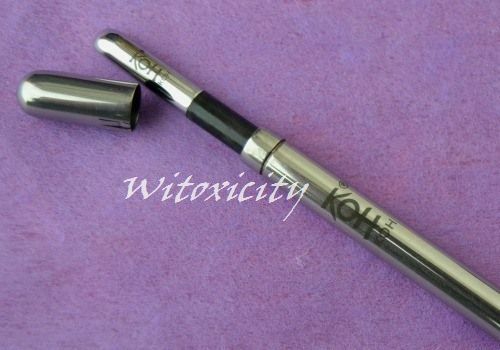 KOH has been giving out the KOH To Go Kit as a free gift for purchases of €125.00 and above made in their Shops. 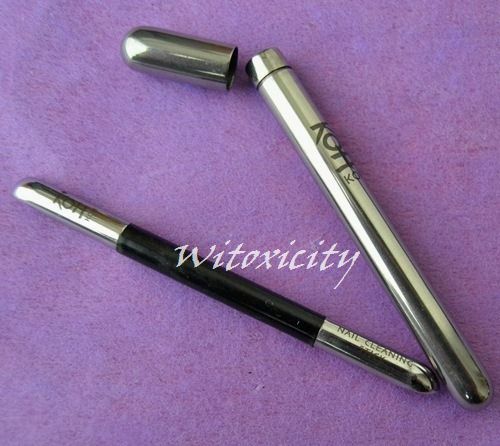 Note: This kit was kindly provided by KOH Cosmetics. 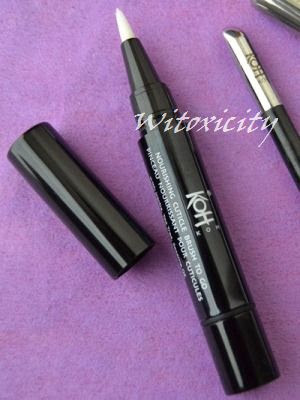 Two of the items have been briefly mentioned before when I featured the KOH Collection L Box, but for the convenience of those who are new to the KOH range, I've included some information here as well. 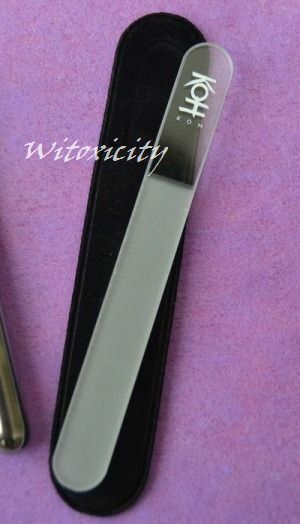 At 9cm, this nail file is the smallest in the whole range of Crystal Nail Files by KOH. 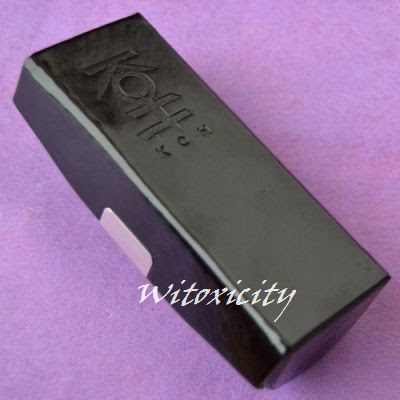 This mini version has been and still is available for sale individually at KOH retail points. 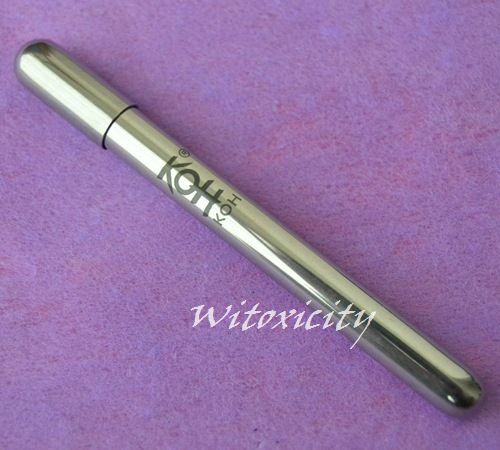 This is a mini version of the KOH Nourishing Cuticle Brush. 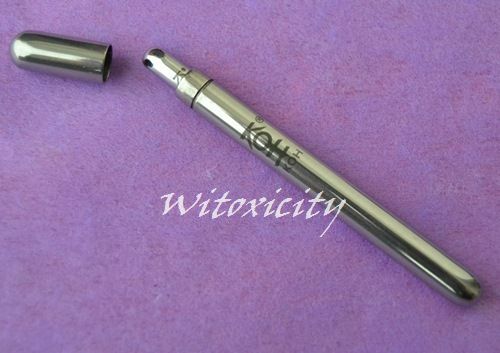 The pen is about three-quarters the size of the regular version and it contains 1.6ml of product. 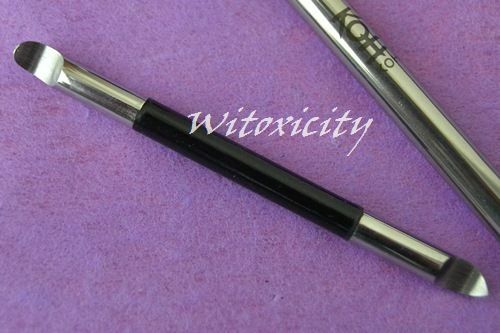 While the regular-size version is a press-click pen, this To Go version is a click-turn pen. Measuring just 9cm long, it is about three-quarters the size of its bigger sibling. It comes in a chic custom-size stainless steel protective casing. 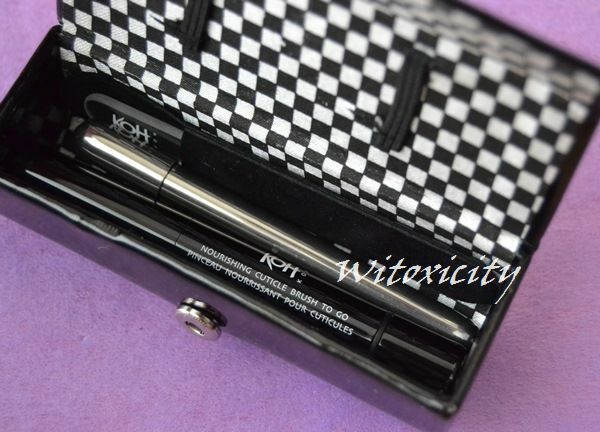 The KOH To Go Kit is worth €29.95 and I've been told that it is now also available for sale at the KOH Shops (€29.95). 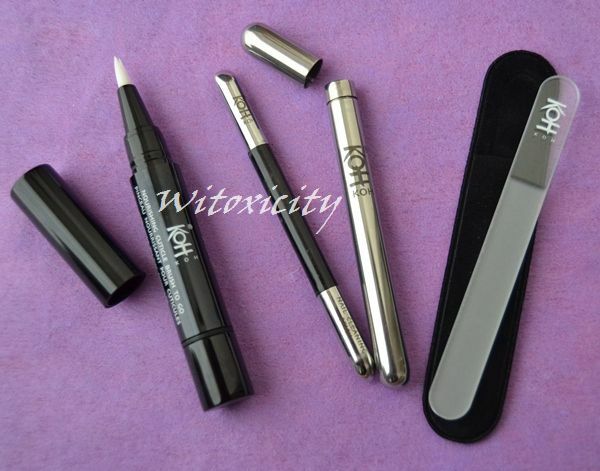 At the moment, it is still uncertain if this mini set will eventually be included in KOH's permanent range of products. As far as I've been informed, it is still being given away free by KOH for purchases of at least €125.00 made in their Shops. The minimum purchase amount may change, so please check with the KOH staff on your next visit there. Ahhh! I love it! Koh is great! I want that set! This kit is so useful for people like me who stay in hostel!